Klonk - Developing Shift Happens, a co-op platformer. Since we have been getting more and more emails and messages from people having the same connecting issues on PS4 for Shift Happens, I decided to make a short write up on how to fix this. If you don’t know how to forward a port in your router, check out this guide: https://portforward.com/router.htm. It features a great list of many routers, and how to forward ports. Second, since IPv4 and IPv6 can’t connect with each other, and Shift Happens uses a Peer-to-Peer connection, both of you will need to use the same Internet Protocol version (IPv). To find out which version you are using, check out this site: http://whatismyv6.com/. In case you are using a different version than your partner, one of you will need to change it in your router. Note: This highly depends on which internet provider you are using. Not all providers allow both versions and it might not be changeable for you without changing your provider. Here it is, our patch v1.1 for Shift Happens. To celebrate it, we improved our hat feature (which is currently only available on steam) and made it more visible and accessible for everyone. You might also recognize a few youtubers amongst them! Other than that, the game will be on discount for 20% on Steam from August 3rd to 10th. So go grab it if you haven’t yet. Thank you to everyone that supported us by giving a positive review, buying the game and writing us about bugs and feedback. We appreciate it very much and it helps improve the game! 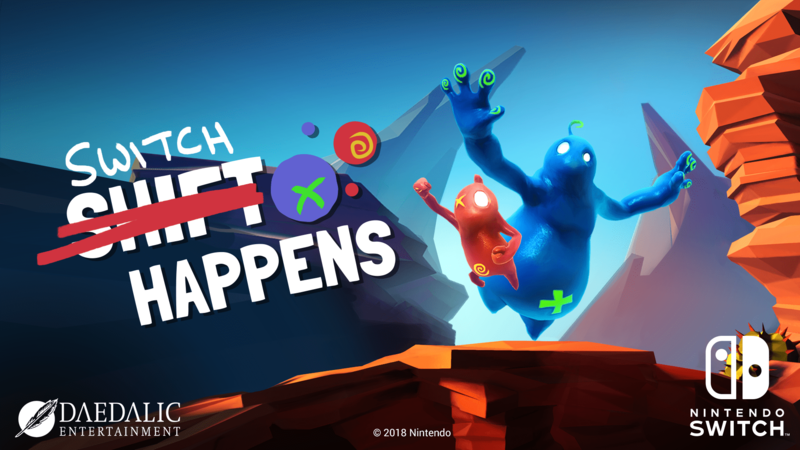 We are happy to tell you, Shift Happens will hit the digital shelves of the Playstation 4 and Xbox One Store on February 22. 2017. We are very very excited and are happy to finally release the game to these platforms, bringing Bismo and Plom to your living room.